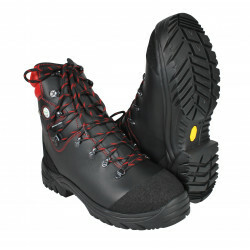 Footwear & bootsThere are 7 products. 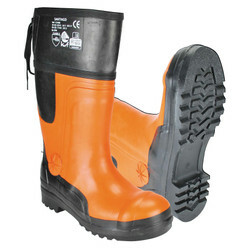 PROTECTIVE FOOTWEAR FOR CHAIN SAW USERSCLASS 2DESCRIPTION:External height: 23 cmChain saw protection -Cut protection: fabric with high tenacity fibresToecap protectionAnti perforation midsole.Waterproof leather 2.4 mmTEPOR®/SYMPATEX® membrane lining.Semelle “ Sole: VIBRAM® high performance rubberFitting: welded. 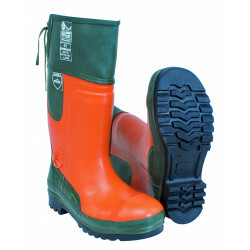 CHAIN SAW PROTECTIVE FOOTWEARCLASS 2Waterproof footwear with anti-perforation sole.DESCRIPTION:External height: 23 cmChain saw protection -Cut protection: fabric with high tenacity fibresToecap protectionAnti perforation midsole.Waterproof leather 2.4 mmTEPOR®/SYMPATEX® membrane lining.Sole: VIBRAM® high performance rubberFitting: welded. 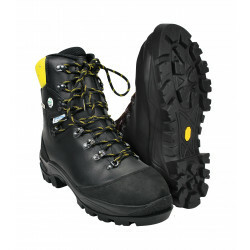 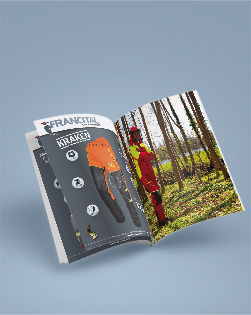 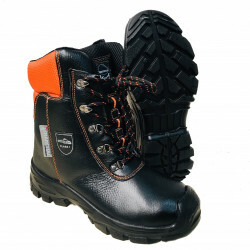 PROTECTIVE FOOTWEAR FOR CHAIN SAW USERSCLASS 1 20 m/sDESCRIPTION:Height: 23 cmChain saw protection: high tenacity fibresToecap protection Anti-perforation steel sole Hydrophobizated full grain calfskin Sole: PUFitting: welded.